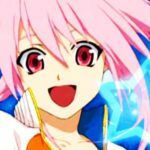 While the Tales of Festival 2009 is going on at the moment, various information is being leaked through sites such as 2ch. Confirmed news will be marked Confirmed, and unconfirmed, a.k.a. rumors (no pictures to back up the claims) will be marked with Unconfirmed, and a question mark at the end. Time is Japan time, by the way. *Most info is courtesy of Kouli. *New stuff are always at the top. Updates are done at an almost hourly basis. 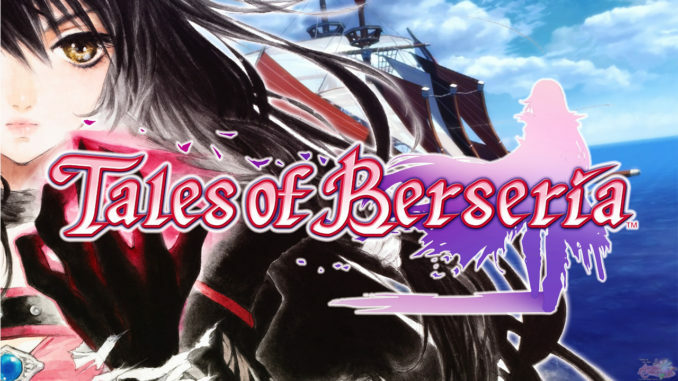 - Nore139 has uploaded the Tales of VS. new trailer up on YouTube. You can view it here. I'll be making a mirror in case it gets taken down Here's a mirror of it. The trailer has anime scenes. - Dengeki Online has posted their coverage of the Festival. It's basically the same as Famitsu's, only it's way more detailed. I need to get up at 4:30am tomorrow... I mean, later (it's 1:30am), so translations will have to wait till tomorrow. New Screenshots Here! - There were over 4,000 people present at the event. The event was mainly hosted by Onosaka Masaya (Zelos Wilder's seiyuu) and Kimura Akiko (Ruca Milda's seiyuu). - More information about Tales of Graces' seamless world was discussed byHideo Baba. When they say seamless world, it is similar to Hearts' world field, and it also means that the field character you have is in proportion with that of the elements on the world field, just like how your field character is proportioned with the elements in town and in dungeons. To get a better idea, compare screenshots of the world field and a town. Battle videos were then shown, with Baba explaining things about the new LMBS and the Around Step. - Sophie was introduced to the crowd. I'm not sure about this, but the trailer they showed says the spelling is "SoPhie", either that or they just needed to move the letter P up so that it would be visible. Anyway, since they were not there, a video of Takahiro Sakurai and Kana Hanazawa was shown. They just talked about their respective roles. - A skit with Yuri's, Estelle's and Flynn's seiyuus were shown. 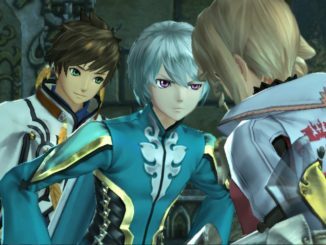 They talked about the Abyss costumes their respective characters would be getting from the preorder bonus product code. They then talked about the upcoming ToV movie, showing this October 3. - Another long skit with various seiyuus from the Tales games was shown. - Performances by BACK-ON and Girl Next Door followed. BACK-ON performed RM2's opening, "flyaway", while Girl Next Door performed "Be your wings" (ToVS theme song) and "Infinity" (one of Girl Next Door's other singles). - Announcement of the ToA Fandisk, and some booths. That was it overall for the Day Event. More screenshots here. - The ToV Movie had its own trailer shown, with Kane wo Narashite playing in it. New screenshots of the movie here. The October 3 showing of the movie is official. 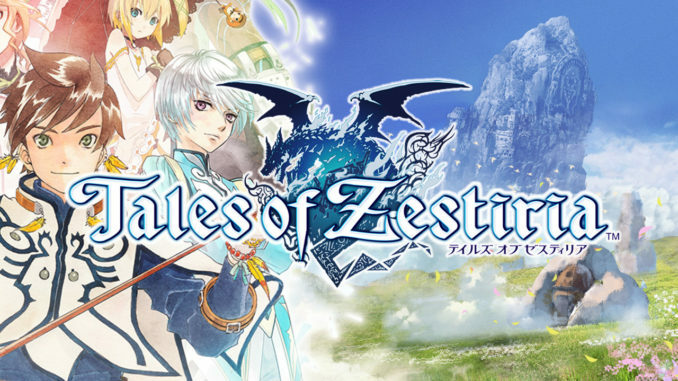 - More pictures of the PS3 boxart and the Abyss costumes. - misono's currently performing some Tales songs. 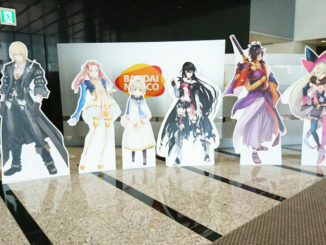 - Here are pictures of the Tales of Vesperia PS3 box art and Yuri, Flynn and Estelle in Asch's, Luke's and Tear's costumes, respectively... Hahahaahahah XDDD. Confirmed - Tales of Symphonia the Animation: Tethealla Arc - expected release 2010. Confirmed - The system in Tales of Graces that allows you to go around in a 360 angle is called "Around Step". Confirmed - New Tales of Vesperia PS3 PV. Kane wo Narashite was playing in it. 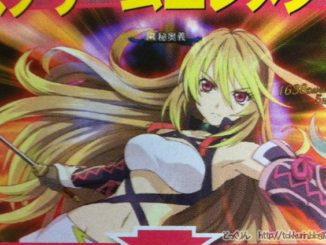 Confirmed - Tales of Hearts Drama CD coming this Fall. Confirmed - Tales of the Abyss Anime Fandisk to be released December 22, 2009. 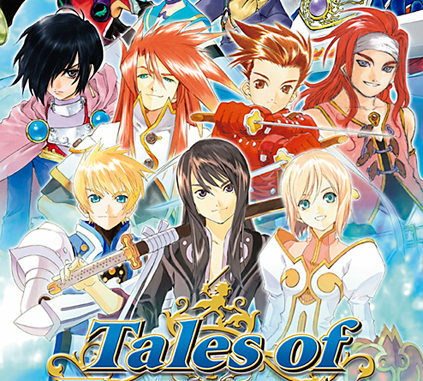 Confirmed - Tales of the World: Radiant Mythology 2 Soundtrack coming soon. Confirmed - The 2D minigame in Tales of VS. is called "Tales of Wallbreaker" (Kouli said this name has been trademarked recently). Unconfirmed - Graces opening to be done by Ikimono Gakari? <--- just speculation.